TOPIC: Are Teen Exorcists Real? 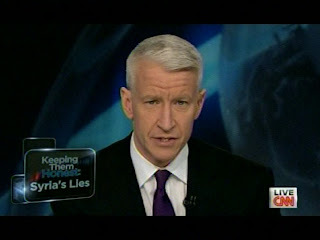 For additional clips and information on show, please visit andersoncooper.com by clicking on the hotlink below. Anderson Cooper & Dr. Drew Talk News? Hail, hail the gangs all here, and by here I mean the CNN Election Center in Atlanta. 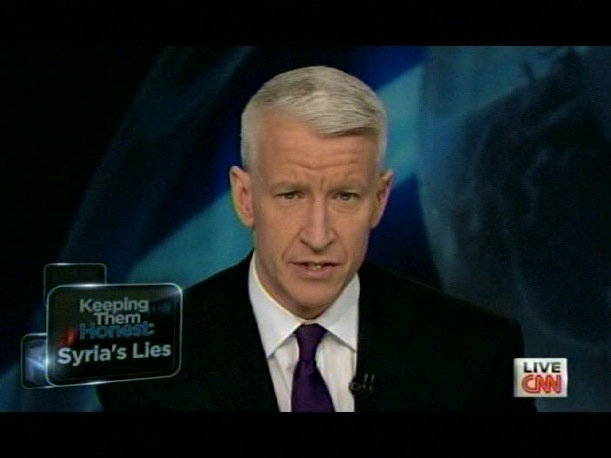 Coverage with anchors Wolf Blitzer, John King and Anderson Cooper kicked off at 4 ET and continued until Piers Morgan took over at midnight. CNN Pundits were Paul Begala and Maria Cardona for the Democrats and Ari Fleischer and Alex Castellanos for the Republicans. Follow: Molly refused to go to treatment and was arrested 4 days later. After serving 9 days in jail and 13 days on house arrest, Molly decided to join her sister, Meghan,in rehab. Sunday night Anderson attended Graydon Carter's Vanity Fair Oscar Party held at the Sunset Tower in Hollywood, California. Pictures have been posted on Zimbo, Just Jared and Getty Images and several other sites. Here are a few pictures from the big night. And we found this video of Anderson leaving the VF party. The video is titled 'Silver Haired Stars at the Vanity Fair Party' and Anderson is at the very end. You have to laugh when the paparazzi says 'who is that guy?'. 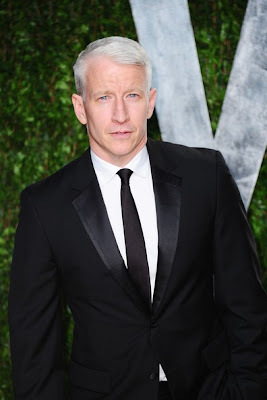 Soledad O'Brien tweeted on Monday morning that she was subbing for Anderson Cooper on Monday's AC360 because he was ill.
Our timing couldn't be better, this week's Sunday Series dates back to March 5th, 2010 when Anderson Cooper was filling in for Regis on Live with Regis and Kelly. Why is our timing so great? 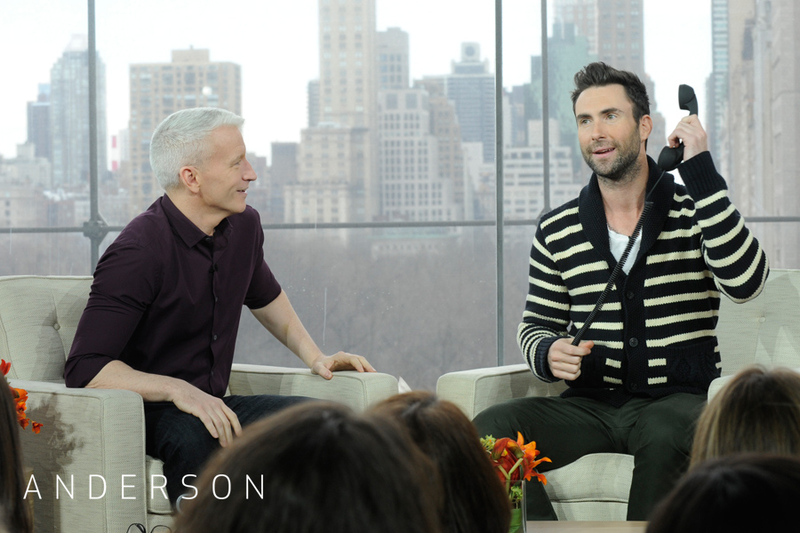 It was the Friday before the Oscars and AC & Kelly did a backstage chat about the upcoming Acamedy Awards. In case you didn't realize it the 2012 Oscars are tonight on ABC. Host chat topics touched on Haiti, Danny Devito (another coincidence since he's a guest on 'Anderson' this week), kids and germs, AC's cleanliness obsession as a child, Kelly's lunch with Gloria Vanderbilt and their friendship, astrology and Walter Mercado, Starbucks, Nancy Reagan, crack pie and compost cookies. And from Regis & Kelly's "Twitter" page Kelly with Apolo Ohno and AC. Life-Shattering Scams: Could It Happen to You? "Mani went into Homs and bore witness to things nobody should ever have to see; bombed out homes, starving people, wounded children..."
Anderson Cooper "It is great to have Christiane back." COOPER: Well, more than 100 people were killed today in Syria. More than 100 people, according to the opposition. Dozens more died yesterday. Dozens more will likely die tomorrow. The wounded will not get treatment. The children will die. And tonight, Marie Colvin's mother waits, perhaps in vain, for her daughter to finally, finally come home. Earlier tonight I spoke with Hoover Institution senior fellow, Fouad Ajami, and Christiane Amanpour, our chief international correspondent as well as "Global Affairs" anchor at ABC News. 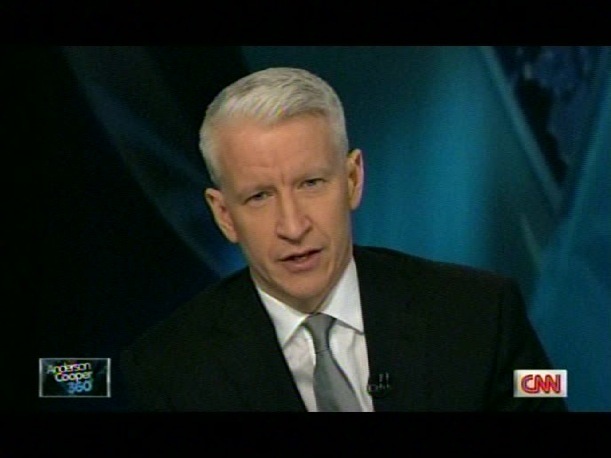 COOPER: I saw Marie Colvin's mother. You know this poor woman. AMANPOUR: I know, it's a terrible tragedy for all of our parents and families who watch us, go to these zones, we put them through terrible hell. And usually, they let us do what we have to do because it's really important. And Marie made that very, very clear. But can you imagine what she must be going through right now and her brother and her sister and the family just wanting to get the body out and the injured colleagues in there. And across the whole population of Homs and the cities. COOPER: Yes. Who -- who have nowhere else to go. And they can't get out at this point. Christiane Amanpour, it's great to have you on the air. Nice to have you back. AMANPOUR: It's great to be back. COOPER: It is great to have Christiane back. ....I was 10 when my dad died, and about a year later I decided it was time to take control. I wanted to be independent, and I needed money of my own for that. I decided to get a job. Kind of odd for a child, I know, but I was nothing if not odd. Child-labor laws posed a problem, of course, but then I found the one industry where youth is an asset. I know it's cheesy, embarrassing, pathetic, but look, I wanted to earn money, and $75 an hour was nothing to sneeze at. I signed up with the Ford Modeling Agency. For a couple of years, every day after school, I'd call Ford's children's division and talk to the booker, asking her what "go-sees," or auditions, I had that afternoon. By the time I was 12, I was regularly working for Calvin Klein, Ralph Lauren and Macy's. All right, so maybe working is a bit of an exaggeration. I was paid to put on clothes and get my photo taken. On jobs, most of the other kids were accompanied by their mothers, pushy women who sat on their children like hens. Me, I went alone. My mom worked, and the idea of asking her to accompany me seemed to defeat the whole purpose of having my own job. I worked until I was about 13. That's when a photographer made me a proposition. Well, actually, I guess propositioned me is the more accurate term. He called me up one night after a photo shoot and asked me if I wanted to make $2,500. I was a little confused, since photographers usually have to make deals through the modeling agency. I wasn't even sure how he got my home phone number. He said he worked for some people, and when they came into town he arranged "meetings" for them. I still wasn't picking up on what he meant. "All you have to do," he finally said, "is go to this guy's hotel room. Open a bottle of wine, have some cheese . . ."
Suddenly I got it. I hung up the phone and never told anyone about it. Not my mom, not the modeling agency, no one. The top talkers all hit season highs as the February sweep got underway in the week ended Feb. 12. CBS Television Distribution's Dr. Phil, now the top talker for the 16th time this season, scored its highest ratings in 21 weeks, hitting a 3.5 live plus same day household rating and tying the season high it hit in September. Dr. Phil climbed 6% in households from the prior week, and 13% from last year. Sony's Dr. Oz came in second, jumping 7% to a new season-high 3.1. Warner Bros.' Ellen gained 13% for the week to hit a new season high 2.7, good enough for third place. That tied Ellen with Live! With Kelly, which was steady. In fifth place, NBCUniversal's Maury added 4% to a 2.6, followed by CTD's The Doctors, which strengthened 6% to a new season-high 1.7. CTD's Rachael Ray remained at a 1.6, while NBCU's Jerry Springer sank 6% to a 1.5. NBCU's Steve Wilkos was flat at a 1.4. Sony's Nate Berkus climbed 10% to a 1.1, tying Debmar-Mercury's Wendy Williams, which declined 8%. Among the rookie strips, Warner Bros.' Anderson added 7% in households to a 1.5. 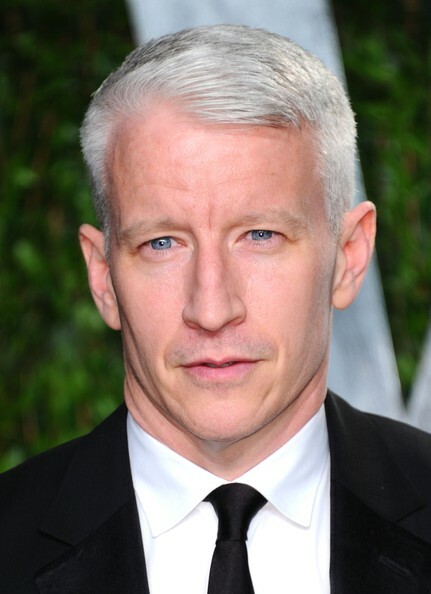 Anderson Cooper Serves Ranch Dressing to Courteney Cox — Is He Trying Too Hard? Courteney Cox believes that "everything is better" with ranch dressing, but that may not be the case with Anderson Cooper. On Tuesday's Anderson, Cooper surprises the Cougar Town star with a huge bowl of her favorite salad condiment and watches as she dips veggies and guzzles the bowl. It's awkward, weird and, frankly, lame as far as talk show surprises for guests go. Which begs the question: Is Cooper trying too hard? 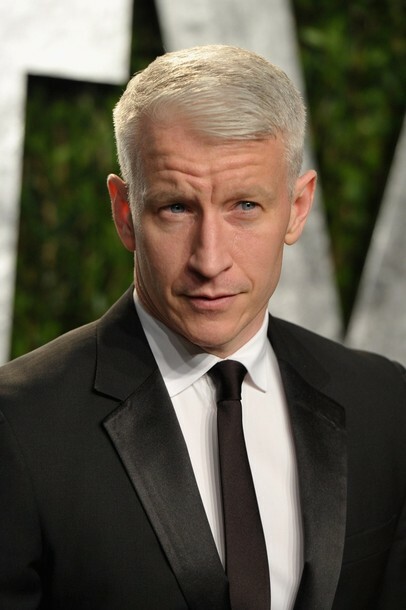 While Anderson has been renewed for a second season, the show is hardly a hit, hovering around 1 million viewers and routinely getting beaten by daytime rivals like The Ellen DeGeneres Show, Dr. Phil, Dr. Oz and Jerry Springer. Conscious of the struggles, the show has brought in a new executive producer and changed the format, featuring multiple segments instead of one — like last week's equally, if not more, kooky segment in which Cooper gave the Toddlers & Tiaras mothers the same pageant makeovers their daughters get. It was always going to be tough for a hard-hitting newsman to go the soft news and tabloid-frenzy route, but we know Cooper can entertain us with the less serious stuff, so what gives? Do you think Cooper is trying too hard, or is he still just trying to find his daytime footing? What a difference nine months makes, huh? Almost a year after Oprah went off the air, the battle to fill her shoes rages on, while Winfrey finds herself in hot water with Nielsen for trying to court viewers on Twitter. It feels weird, doesn’t it, to see the queen of the airwaves “begging” for viewers? Meanwhile, the playing field is full of other would-be daytime dominators, but who is winning? Look at it this way. In February of her last season, Oprah came in at number 15 on TiVo’s season pass rankings. Dr. Oz, the strongest of the current daytime shows, currently ranks at 92. Below him are Ellen Degeneres at 132, Dr. Phil at 175, and Live! 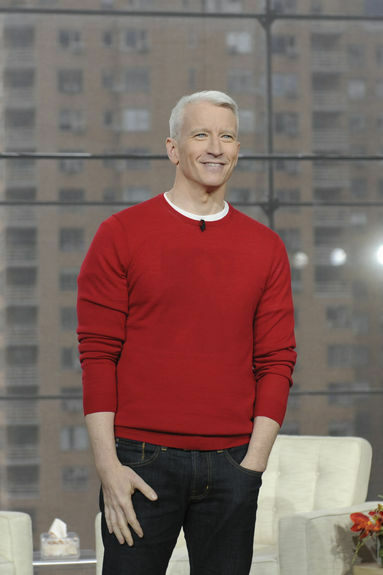 With Regis & Kelly all the way down in the four hundreds with Anderson Cooper, at 441 and 464, respectively. Interestingly, by the time Oprah went off the air in September 2011, she had fallen in the ranks to number 45. So maybe people had already begun defecting? Or maybe the Queen of Talk had run out of things to talk about! 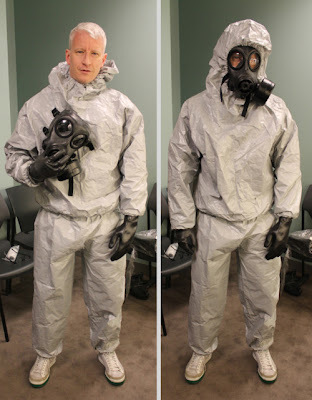 Did anyone wonder why Anderson Cooper wasn’t in Arizona Wednesday night to cover the CNN sponsored Republican Presidential Debate? It’s a legitimate question since he’s been on stage for post debate coverage at every other CNN sponsored debate this election season. 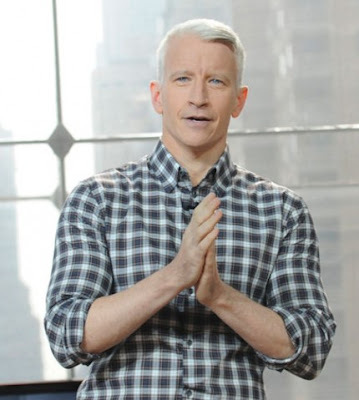 We don't know the answer, but we do know there were two tapings completed for his talk show, “Anderson”, today and more scheduled for tomorrow. Instead of traveling to cover the debate Cooper was talking to Jesse Tyler Ferguson from Modern Family and Lisa Kudrow. Couldn’t the tapings have been rescheduled? After all tonight’s debate was on the books first and his talk show has rescheduled tapings in the past to accommodate Cooper’s CNN schedule. It was said, when the talk show was announced, that CNN would “absolutely continue to send Anderson” to the sites of breaking news…“We all want the same thing,” Mr. Cooper said. “I’m never going to do anything that is detrimental to CNN.”* And yet tonight he sat alone in his New York City studio while his colleagues reported the news from where the news was happening. Personally we would have much preferred to have John King or Gloria Borger handle the post debate coverage rather than the awkward back and forth from a moderator in NYC to the large group on stage in Arizona. There actually was about a 5 minute period at the 38 minute mark of the program where the panel ran with the topic at hand and the only way we knew AC was still awake was when he broke in to go to commercial. TOPIC: Could Your Family Survive A Disaster? TOPIC: A Dad Gets A Bionic Arm! Anderson sat down with Courteney Cox and they were later joined by the cast of Cougar Town: Josh Hopkins, Busy Phillipps, Christa Miller, Dan Byrd, Ian Gomez and Brian Van Holt.